Hooded capes are essential for Little Red Riding Hood costumes and certain goth and period ensembles. Unfortunately, it can be difficult to find a suitable hooded cape in clothing and costume stores. 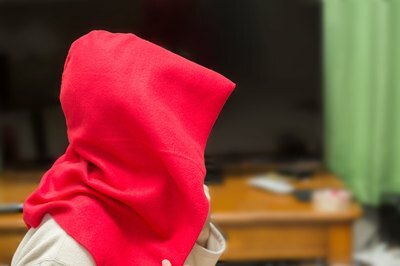 By using a bit of fleece or another warm, fray-proof fabric, you can make a hooded cape in less than an hour, with little or no sewing required. Measure from your shoulders to two inches above the ground. 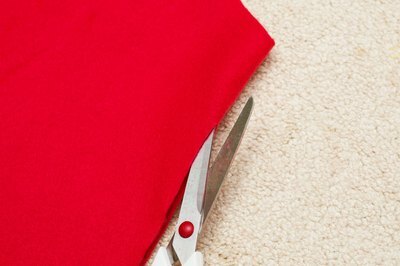 Using sharp scissors or a rotary mat and cutter, cut a square of fleece twice as long and twice as wide as this measurement. Fold the square into four equal sections. Use chalk to mark the corner at the center of the original large square. Draw a curved chalk line connecting the two corners next to the center corner, rounding off the corner opposite the center corner. Cut off the material along this chalk marking. You should now have one rounded edge and two straight edges converging at the center corner. Cut through one of the straight folded edges up to the center corner. Cut only one of the folds, not both. 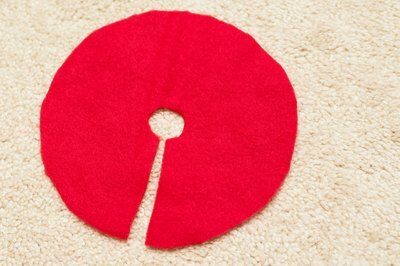 Cut off a small quarter circle at the center corner. Open up the fleece. You should have a large circle with a smaller hole in the center for the neck and one line going from the neck hole to the outside of the large circle. Drape the cape over your shoulders to check the fit. 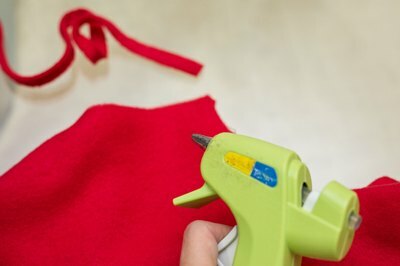 Use scissors to remove extra fabric from the bottom of the cape or the neck hole, if necessary. Hot glue or sew ribbon on each side of the opening next to the neck to make a tie for the cape. 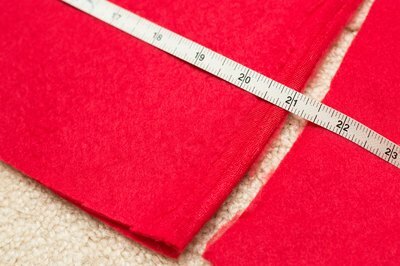 Cut a second piece of fleece measuring 10 by 28 inches for a child or 15 by 42 inches for an adult. 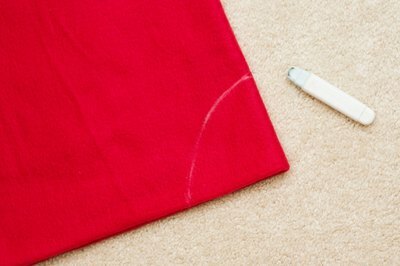 Fold the fabric widthwise to make it 10 by 14 inches (or 15 by 21 inches for an adult). 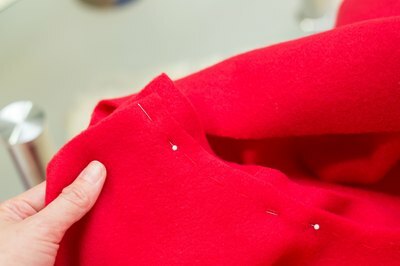 Sew one of the long sides or glue the edges together to make a seam. Place the hood over your head with the folded part on top and the seam running down the back. 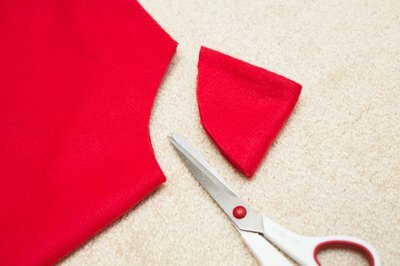 Cut off any excess fabric, if necessary. 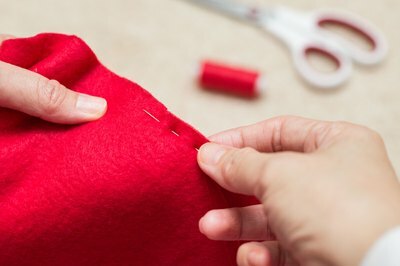 Attach the back end of the hood to the top edge of the cape with fabric glue, or stitch it in place with needle and thread.